Six new bells have been installed at St Patrick's church in Bampton, Cumbria. To install a new ring of six bells hung for English full circle ringing in the church tower beneath the old bells and create a new ringing chamber and access. To preserve the existing five 18th century bells in the original oak frame, and overhaul the clock mechanism and chimes which are part of the history and heritage of the village. To support the revival of interest in the centuries-old tradition of bell ringing. Diocesan approval has been obtained for the project and St Patrick's PCC is now looking for donations and sponsorship for this 'once in a lifetime' exciting scheme and is also exploring the availability of grants. Note that all donations lend themselves to charity giving and Gift Aid. There will be more updates to follow shortly on this exciting project. Please download the donation forms and leaflet below - if you wish to have more information, contact details are on the leaflet. The appeal was launched on 14th October 2016 at Bampton Grange Church Hall - and included a short presentation by Ron East, Captain of the Bells at Carlisle Cathedral and the Diocesan Bell Adviser. 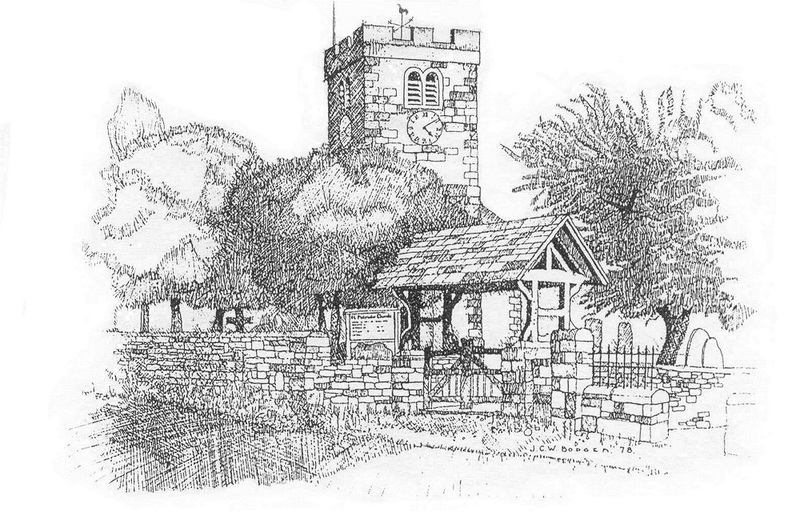 Sadly, due to a lack of support, the campaign for the re-print of Alfred Wainwright's Westmorland Heritage book that was a part of the Bampton Bells Appeal has been closed. However the overall appeal has been well supported so far and there is a real possibility that the new bells will be ringing in the New Year 2018. 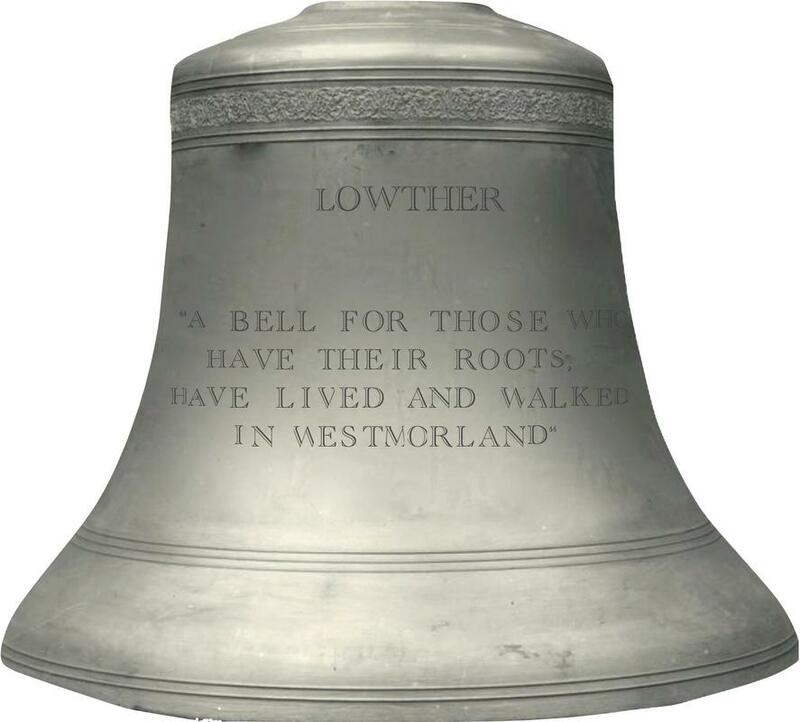 One of the bells will be named the Lowther bell - the river whose entire length is within Westmorland and which links together the communities in Bampton parish. Its suggested inscription "A bell for those who have their roots, have lived or walked in Westmorland" links in with the book's simple dedication "A book for those who have their roots in Westmorland" dedication. The bell will bear the Westmorland coat of arms in memory of the dedication of the last peal of the old church bells which was to "The County of Westmorland"
Wainwright admirers, especially those who feel they meet the "criteria" specified in the inscription, are invited to support the appeal by completing a sponsorship/donation form above. It is hoped that this further appeal will raise enough funds to pay for the Lowther bell's fittings and the bell will record that the bell was given by the "Bell Ringers of Bampton and Cumbria and Lovers of Westmorland"
The chimes of St Patrick’s church ring out on the five 18th century bells. The bells are tuned to the five back notes of the key of C and the hour is struck on the tenor bell (that is, the heaviest bell of the five bells). The clock and the chimes mechanism were made by W. Potts and Sons of Leeds and were given to St Patrick’s church in 1909 by Miss Jane Dalton who lived all her days in Bampton Grange. She never married. She was the daughter of Isaac Dalton and Jane Holme who were married at St Patrick’s church on 27th January 1838 (see cutting from the Westmorland Gazette, 3 February 1838). Jane was baptised on 16 October 1838 and died on 1 January 1916 leaving an estate valued at £3461 11s 11d. She lived initially with her unmarried aunts (all Holme sisters) in Bampton Grange and then ‘on own means’ in the house next door to the church (see the entry from the 1901 census). 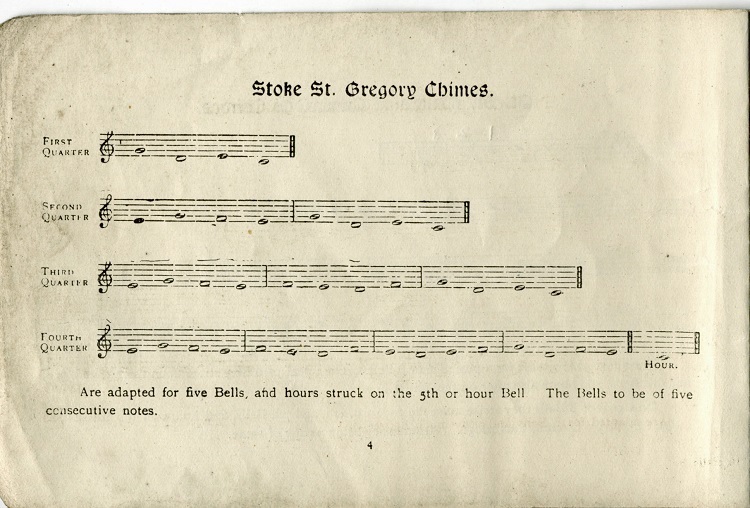 The chimes are most unusual and, following extensive research, it was discovered that they are called the Stoke St Gregory chimes. Stoke St Gregory is a village in Somerset. St Gregory church has, unusually, an octagonal tower that also houses five bells. The church has a clock and chimes mechanism that were installed in 1897, also by W. Potts and Sons. However, the chimes were commissioned by the village clock committee from Dr (later Sir) George Clement Martin, who took over from Sir John Stainer when he resigned as organist at St Paul's in February 1888. "The clock is estimated to cost about £145, and will naturally be of great benefit to the villagers. The chimes are special in character, having been written by Dr Martin, organist of St Paul's Cathedral, at the invitation of the Clock Committee. The clock is erected from the design of Lord Grimthorpe, with all the latest improvements, and it strikes the quarters in the usual way. The pendulum bob weighs two hundredweight, and is so compensated that the weather will have no effect on it. 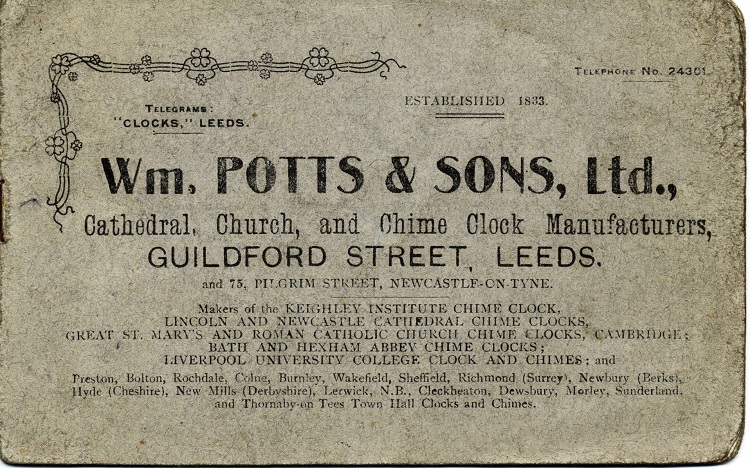 The clock is guaranteed by Messrs. W. Potts and Sons of Leeds to go to a minute a year." When clock and chimes mechanism at Bampton were installed 12 years later, the Stoke St Gregory chime now featured in a catalogue published by W. Potts and Sons (see the pages from the catalogue). It is from this catalogue that Jane Dalton no doubt chose the chimes. The only other church with this set of chimes is St Mary’s, Walkden, Hertfordshire where the chimes were installed in 1913.